Building your resume when you are just starting out as a Medical Biller and Coder can be daunting. If you’ve only just graduated, it might seem like you have very little to write down that will attract the attention of potential employers. The good news is that our Medical Billing and Coding program includes an externship, so you’ll already have real-world experience by the time you’ve graduated. The even better news is that a well-written resume that gets across your drive and passion will often catch the eye of prospective employers where a poorly written one won’t, even if it does list more experience than yours. To help you build a resume as Medical Biller and Coder, we’ve put together some top tips to help you stand out. Be professional – Many potential employers are going to be inundated with applications for the positions to which you are applying. It is unsurprising then that they often only scan not read resumes and quickly discard the ones that are unprofessionally presented. To avoid having your resume so quickly dismissed, take steps to make it as presentable and businesslike as possible. Set up a business email to include on your resume, format it in a standard font, such as Ariel or Times New Roman, and make sure it is clear, uncluttered and your skills and qualifications are apparent and easy to read. Be accurate – Losing out on a potentially career-building interview can be as simple as your email address or contact number being incorrect. Always double check your resume for accuracy before submitting it, paying particular attention to your personal details. Employers are not going to chase you for a response to an offer of an interview, so submitting a resume with an old telephone number or misspelled email address is the same as not applying at all. Be precise – If you’ve only just graduated as a Medical Biller and Coder, it can be tempting to fill out the spaces on your resume with flowery language, to make it seem fuller. Avoid this at all costs. Employers will quickly realize what you’ve done, and most will not have the time to wade through the unnecessary text to find your real skills and abilities. 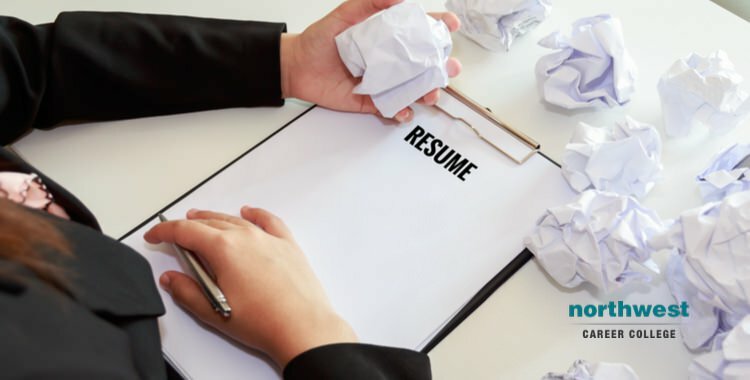 Keep your resume precise, and to the point, you can’t hide a lack of experience with extra words, but most employers will appreciate an ability to convey information accurately and efficiently, especially in a potential Medical Biller and Coder. As the premier Medical Billing and Coding Schools in Las Vegas, Northwest Career College employs established, seasoned instructors to teach you every aspect of Medical Billing and Coding. Our student-focused approach puts you first, and we offer online and on-campus workshops to accommodate your work and family schedule. We continue to support our students after they graduate as our experienced Career Services team works with you to help you find the Medical Billing and Coding jobs in Las Vegas. Call us today at (702) 403-1592 to learn more about the exciting opportunities that our Medical Billing and Coding School can offer you!